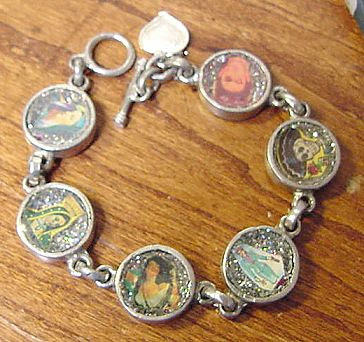 I've been wearing the bracelet almost daily and it was so funny when I went looking for it today to photograph -- it is so me, it totally blended in with everything else on my work table and I couldn't find it at first! 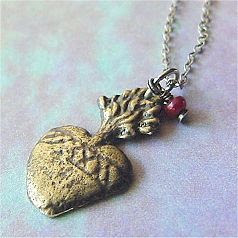 So thank you Kathy for all your crafty good vibrations, your fun blog, and the gifts. Blessings and good luck to you. We had a going away shindig for a good friend who's moving out of state, and I was in charge of the goodbye card. Naturally I spent HOURS conceptualizing it and maybe 45 minutes actually making it. 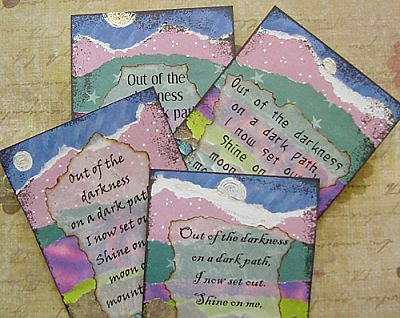 I used a free template in the shape of a tryptych which I would love to share a link to, but now I can't find it! I searched (and searched) the Internet for the perfect graphics and quotations, and everybody sent in little things to say to our friend. I printed them out onto sheets of perforated business cards, thinking I'd do a pocket...and knowing that really wasn't going to work. Up until the last minute I was at a total loss as to what to put on the front of the card, and how to integrate the goodbye notes. Finally, at work I spied some big pictures I keep under my clear plastic desk cover. They are inserts of Middle Eastern carpets I had pulled long ago from back issues of Architectural Digest. One of them I cut to fit and collaged onto the front of the card (splitting it down the center where the card opens like little doors) and another I made into a little envelope to put the goodbye notes into. Naturally I slathered the whole thing with gold leafing pen and it looked tres Turkish/Middle Eastern. Definitely not something you'd find at Walgreens. and I was soooo proud...until she mentioned I got her name wrong, LOL! Not only that, her baby has two names and I switched them! She was very gracious about it though. Fortunately I still have the file with the Word Art names, so I'll send some corrections to her new home. With a little bottle of glue, LOL. The Hamsa, or Hand of Fatima, is a protective symbol throughout the Middle East, and it's worn to protect against the evil eye. 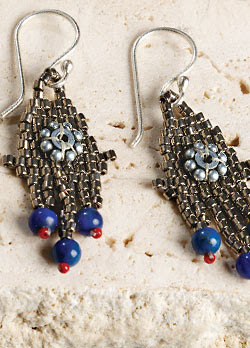 It can be hung with the fingers up or down (though this earring pattern obviously features the fingers down.) Here's a bit more about the symbol from Wikipedia. 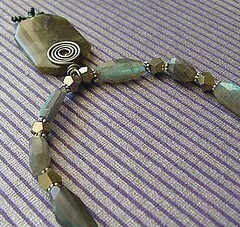 And here's a link to my favorite "what's that amulet?" site, The Lucky W Amulet Archive. P.S. 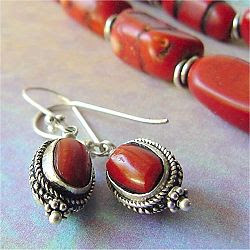 I have gold and silver pairs in my Etsy jewelry shop for those who'd rather purchase the finished earrings. 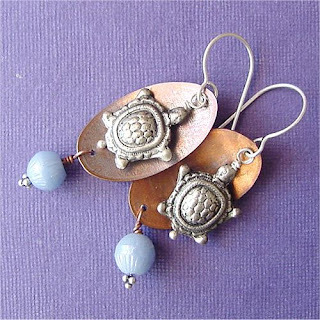 I made these, wore them the next day, and sold 'em offa my ears (thank you, Cathy and your artsy niece in Napa who loves turtles 8-) These turtles are some of the first beads I ever bought, back when that pot silver stuff from India was popular. 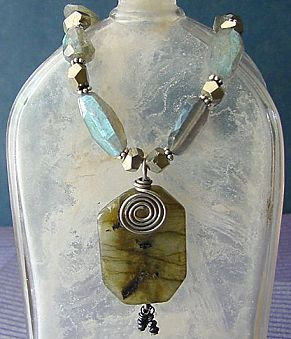 I used to make fat little goddesses by piecing together two silver beads and a round gemstone for the head. This was when my older sister had shown me how to more or less put beads on a headpin and string crystals for suncatchers. I've been going through my little organizer boxes and kind of clearing things out. I found a certain stash of buttons acquired just before I started beading (the tail end of batiking, midpoint of embroidery, beginning of leather and dawn of beads ;-) I had gone home to Kentucky and my mother and I went downtown (Luavul) to Baer Button Company. It's changed now but back then it was mostly buttons and partly sewing stuff. Their buttons took up a couple of tall walls, stacked nearly to the ceiling in little cardboard boxes, with an example of the button taped to the front of the box. I was just out of school and working for not much more than minimum wage, and making batik, embroidered and little leather pouches in the evenings. I needed single buttons for the pouches, and it was a huge splurge to go down to Baer and buy cool buttons. I found myself attracted to the cool older leather and metal buttons. I started looking way up high on the walls, for the yellowest old boxes with the gnarliest dried up tape, and suffered the employees to climb up and get them for me. They seemed to cost a small fortune -- but man, what they'd be worth today! It was just an affinity and not so much a developed taste for vintage, or even an artistic style (or if it was, it would have been pseudo-hippie chick). Indeed, soon after that, button collecting seemed to take off and the goodies I saw that day were no doubt scarfed up completely. But I came away with a few little treasures -- like round disks of leather with a brass star on top, set into little brass shank settings, that I now use for necklace clasps. No, I'm not a button collector. I'm not much interested in making a display, or finding matching sets, or figuring out how much they might be worth. I don't know if I even care about using them in projects. They take up so little space, really. It's a small indulgence to just take them out and look at them now and then, like savoring a nice piece of chocolate or rediscovering an old letter from a friend. The store is still hopping today -- as Baer Fabrics and they still sell some pretty cool buttons. 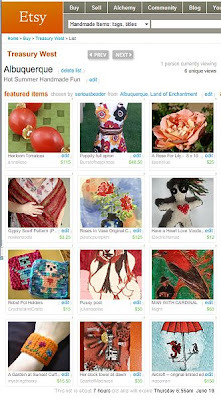 Oh wow, I was pretty surprised just now when I saw the Etsy home page featured all seed beadwork! 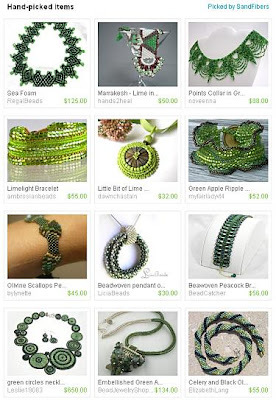 and then I noticed it was all GREEN (my favorite color), and then I saw it was from a Treasury created by SandFibers -- our very own New Mexico girl (even if she does have sand in her fibers down south there, yeah). Go green!(?) Go seed beads!(?) Go SandFibers! Woot! 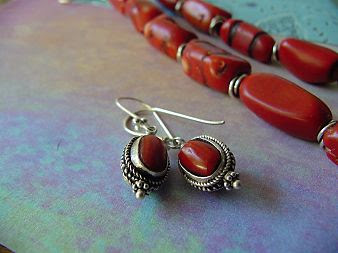 Why do we always make earrings that match? Last night, inspired by the, er, abundance of supplies on my work table, I made a few pairs that don't -- I think of them as "fraternal twins." 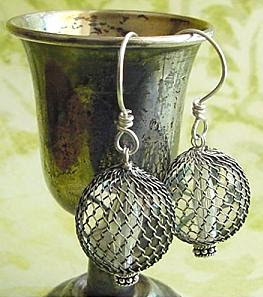 I think I love using the silver cup in photos as much as I love making earrings... LOL! Hey, I put up this altered manila tag in my Etsy shop, it's called Granny Rocks and it refers (obliquely, I'll admit) to women like union organizer Aunt Molly Jackson. 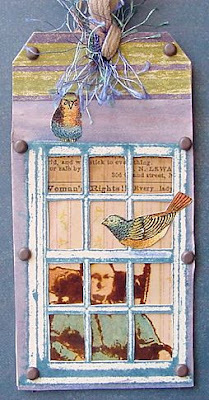 Also I put up an extra ATC (now an ACEO I suppose) from the recent "Colors" swap. Also, just a quick note to mention the Bureau of Public Secrets, where you can find more Kenneth Rexroth translations of Japanese poetry. 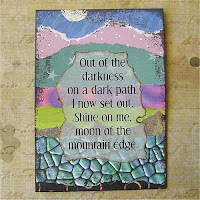 moon of the mountain edge. This month's swap kind of snuck up on me but I was determined to make something since I had to miss the last one. So I ended up doing the backgrounds during my lunch hour -- I used 2 sheets of card stock, and long, torn strips of scrapbooking paper across the sheets horizontally. (Did you know if you tear the paper from the front, you'll get a white edge? And if you tear from the back, you won't. I made the snow-capped mountains just by tearing from the front.) Then I cut them down to size. You only get 8 cards out of a sheet this way (as opposed to 10) but I think it was quite a timesaver to do the whole background at once (it took about 20 minutes to do each full sheet). At home I printed out the poem on a couple of sheets from my stash of vintage drafting vellum. I love the way the glue (PVA) makes it even more transparent, so it really interacts with the background colors. I burned the edges with a stick of incense. I might have gotten a little carried away, but things sure smelled good when I was done! I doodled in the moons with my new clickable white out pen, and it looked ok, but I think I'm not happy unless there's a bit of sparkle, so I dabbed on some interference gold paint by Golden. Then I darkened the edges with black and brown solvent ink. For someone who doesn't win anything...ever, I'm feeling pretty spiffy right about now. Why?? Well, I won Second Place in Kathy Cane-Murillo's Crafty Chica Essay Contest. She is so positive, so upbeat, so sincere and utterly wacked (in a sparkly way, ya know), I'm truly honored that my desperate plea for attention was acknowledged! (Yes, I even used the birthday ploy that worked so well all that week...). Head on over and read the entries, especially the winning essay, that made me laugh and cry at the same time...in a good way. I Are A Crafty Chica!! Woot! And no I'm not going to post my results here, they are far too accurate! ;-) But I did notice that braver-souls-than-me could use their new blog feature to share their results. Last night we went to our church's fiestas. As usual, the patron saint of parking spaces was looking over Papa and even though the festivities were well underway, he found a spot just inside Old Town. My mother is visiting from Kentucky and she LOVED it. She's been there many times of course, but never during Fiestas. 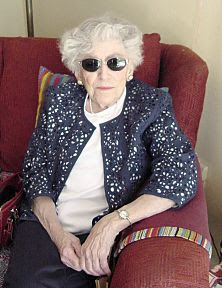 Plus, she is 85 and told me this her last trip out. Not to worry, she's still plenty spunky -- she can slam a car door, talk politics, and shop with the best of them. She just doesn't like travelling out here anymore, the hassle, the luggage, the sitting for long periods in a cramped seat, etc. So we bought a few tokens, wandered around the plaza (the gazebo, I must say, was decorated beautifully), listened to the music, and people watched. At one point she nudged me and pointed out an older man dressed in a friar's robe, and said, "Gasp! Is that the priest dancing?" No ma, he's just dressed like one, probably for the procession. We saw a couple of other similar "priests" lolling about after that. There were young girls in flower crowns...families rustling up burgers and Indian tacos in the food booths, tattoed gents in locs with their girls, parents and grandparents parked on the Old Town benches, kids running around, carnival rides, couples dancing in front of the gazebo, and of course the little bingo booth on the church patio. It was so perfect, I had this odd sensation I was actually on a movie set. And have you ever noticed, carnivals and such have such gaiety, but also this spooky vibe too, as though if you accidentally wandered off into a quiet, dark alley you'd meet the Devil himself. Instead (whew! 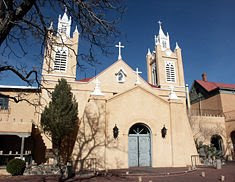 ), we went into the church gift shop and Ma bought a chunky little handcarved statue of San Pascal for her stove then we came outside and got a soda, and sat on the church wall bench for awhile before heading home. Once upon a time not so very long ago, there was an Etsy seller who came up with a rockin' little product she sold thousands of that year! 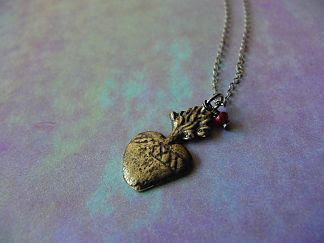 To no one's great surprise, soon other Etsy sellers were mimicking her product. Oh, it was not such a proprietary product -- it involved some recycled materials, some new materials, and some readily available materials. But she was a rockin' little business woman so she did really well. Plus she had a great packaging concept that helped sell those rockin' little products. She became a Legend and got a lot of visibility, plus she was friendly and helpful in sharing her general tools for success. And lots of new Etsy sellers perhaps thought it was a good idea to imitate her success by imitating her product. 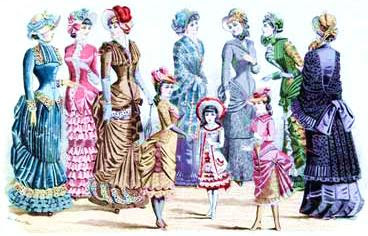 Some creators of similar products had undoubtedly played with those materials before. Some imitators, I'm sad to report, did a pretty lousy job, but others took her concept and went off in their own direction with it. However, there were soon SO many Etsy sellers horning in on her idea she finally said, this is so disenheartening to have this happen in my own community, I'm just going to create a tutorial for this product and sell THAT. (Some of those in the community, as I said earlier, were probably not horning in but were simply having simultaneous artgasms, the phenomenon of two people playing with similar materials with similar inherent properties and therefore similar potential, coming up with very similar products at the same time -- but you could discern them pretty easily cause their individual creativity showed through). Well I purchased this PDF from her and it was just fine. Simple, straight to the point, clear photos and wording, and quick, friendly email delivery. I do tutorials, see, and I think I would have noticed if there were problems with it. I am not interested in making said product, I just bought it to share with my niece when she came to visit. Well, she's here now, so I thought I'd go online tonight and find the Friendly Legend's shop for her in case she wants to share the link with some of her young friends. But I quickly became confused. I found a link to a different seller, selling a PDF for the exact same product. In the listing, she referred to it as the original. Huh? So I did a search and found, not one or two, but a total of SEVEN other Etsy sellers selling their own versions of the tutorial on Etsy, oh wait, actually SIX -- because ONE of the seven is giving the tutorial away for free! The ones who are selling the item itself are undercutting her price. All of them are undercutting her price for the tutorial. 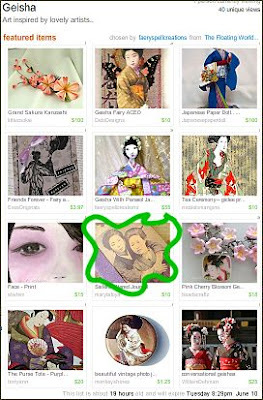 None of them have been on Etsy for more than 8 months -- in fact, two or three joined within the last month. I guess it is the LAW (or the lewwuh as Peter Sellers would say...) that I respond and tag unto others as others have tagged unto me. What are 5 things on my to-do list for today? Bloggers I’m tagging for this meme…. Duke City Fix is a ning community that's got "the inside line on Albuquerque." (Did you know the late Bo Diddley lived just south of here for years? I just watched the Bo Diddley video Adelita posted 4 times in a row! Hey Bo Diddley!) In fact, I was all set to link there in a upcoming blog post but Duke Citizen Spring Griffin done beat me to it and blogged me first! Thank you Spring. I am just so thrilled she complimented me on my photos because it has taken me a long time to figure out how to get something decent (when I first opened my Etsy shop I used a scanner. For jewelry. Ew!). Why, just yesterday afternoon I was yanking the gamma. Hey! Don't get ahead of yourself. I mean adjusting the midtones...strongly...in my photos. Along with the highlights. I thought it would be fun (as opposed to "funny" cause it's actually quite sad, LOL) to show a before and after of what I was working with today. 1. Rush home before sun goes down. 4. Turn around and start running across the room with camera still plugged in to charger. 5. Shoo boyz from game cube (they yell at me for walking back and forth with camera). 6. Put pretty paper on tray table. On top of other pretty paper from last time. Scoot tray table closer to sliding glass door. Hope stack of pretty paper doesn't slide onto floor. 6. Toss jewelry onto paper. 7. Turn on camera, autofocus off. 8. Squat bent over in non-yoga position, squinting over bifocals into viewfinder. Turn focus thingy until jewelry gets all squiggly. Pray that means it's in focus. 9. For hanging jewelry shot, find dirty old bottle, drape jewelry on it, put illustrious boy Buddha statue behind pretty paper to prop up paper backdrop. 10. Do this over and over until I'm sweaty. 11. Curse the boyz for not turning on the air. 12. Run back to computer and pop in the diskette. After that it's top secret editing time. Top secret, because I couldn't tell you what I do or why, exactly. Basically I lighten the gamma, adjust the highlights higher, tweak the shadows, and occasionally tip the colors (usually away from blue...we have big skies around here and they throw a color cast, even into my living room). Sometimes I have to do so much gamma yanking, I have to resaturate the photos a bit, but only just a bit or my A gemstones turn into AAA gemstones, LOL! Ok here's the photos. I actually work with them 2-3 times as big as they are here. 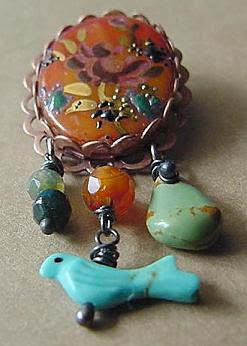 with a vintage turquoise bird fetish and gemstone beads. Rather petite. Amazingly amazing clear vintage beads covered up with metal wire mesh. 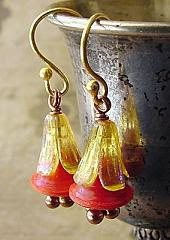 Handmade earring wires. It's unusual vintage finds like these that make me all crazy happy! This weekend was so productive! I actually managed to fix my computer, which has been on the fritz for over a month, all by my widdle self. You cannot imagine the workarounds I've been doing to get from 1. photography --> 2. image editing --> 3. upload to Internet, using the combined attributes of 1. a new laptop with not enough software, 2. an old borrowed Tablet PC with a wonky wireless card, 3. an old dual media digital camera (nice macro, no driver...), and 4. an external floppy drive. I got so much *else* done thanks to having ONE computer again that does everything I need (plus scan and print). Plus the local bakery (aka Golden Crown panaderia) had sent out flyers in the neighborhood, advertising a pizza family special, so after spending my dough (har har) on silver I went down there and ordered the most deliciosa green chile pizza, a huge salad, and cheese bread takeout. I've adored their empanadas but never sampled their pizza and let me tell you mama was not holding back. Hey it's a bit more than Dominos, but such flavor! 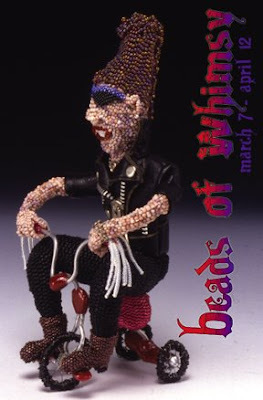 I meant to post this earlier but it's okay that I didn't because Cyndi has added yet another month to her BJP (Bead Journal Project). I love her theme. Years ago my students and I used to compile month (moon) names in various Native American languages for an annual calendar. When the web happened, we put them on our website but that was years ago. So I enjoyed seeing how Cyndi tuned in to the moon and the months in her BJP.